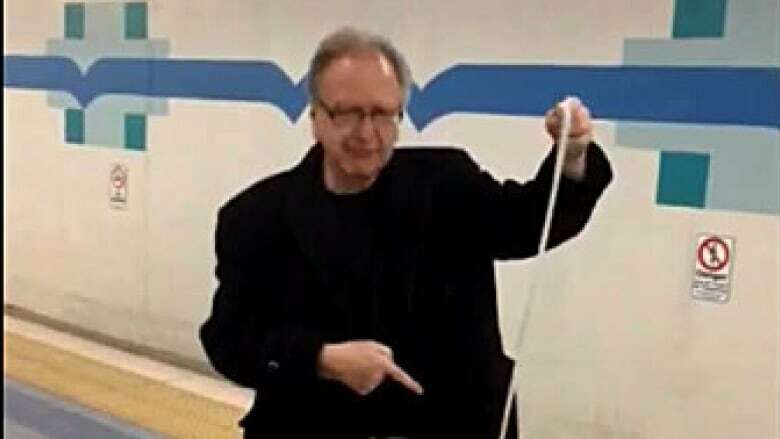 Police are looking for a man in connection with a possible hate crime at a south Edmonton LRT station. The man approached two young women wearing hijabs at the University of Alberta station at 8:20 p.m. on Nov. 8, police say. The man, believed to be in his 60s, pulled a rope from his pocket, tied a noose and said: "This is for you." The man then proceeded to sing O Canada in front of the women, one of whom shot video of the performance. Police are asking anyone who recognizes the man to call 780-423-4567 or #377 from a mobile phone. They can also call Crime Stoppers at 1-800-222-8477 or online at www.tipsubmit.com/start.htm.